MARQUETTE, MI – Mary A. Densmore, 76, of Marquette, died unexpectedly Saturday morning, March 11, 2017 at U.P. Health System-Marquette. Mary was born on June 28, 1940 in Erie, Michigan, a daughter of the late Jackson and Ester (Fuller) Sexton and was a graduate of North Central High School in Pioneer, Ohio. On October 3, 1959, she married Edward Lewis Densmore in Waldron, Michigan. 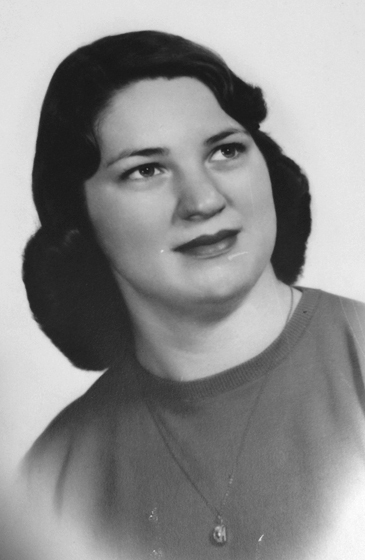 In her youth, Mary was a 4-H member and a much loved leader while her children were growing up. She was an active member of Marquette Hope as well as its sanctuary choir, United Methodist Women, the Marquette Choral Society, and the Marquette Quilters’ Guild. Mary was an avid gardener, knitter, and reader. She loved to attend concerts, hockey games and ride bikes with her grandson. She volunteered for Room at the Inn and always enjoyed helping a neighbor in need. Survivors include three children, Rory Densmore of Waldron, MI, Deanna (Jim) Dunn of Negaunee, MI and Bonnita (Kurt) Reinking of Royal Oak, MI; six grandchildren, Evan and Nick Brooks, Jamie and Sawyer Dunn, and Jacob and Joshua Reinking; two sisters, Carol (Hal) Myers of Broadway, VA and Ruth Lovejoy-Bush of Cooney, OH; sisters-in-law, Donniece Corley of Greenwood, IN and Judy Sexton of Youngstown, OH; also several nieces and nephews. Mary was preceded in death by her parents; her husband of 43 years, Edward Densmore in 2004; a newborn daughter; one brother, Wilbur Sexton. The Densmore family will greet relatives and friends at the Canale-Tonella Funeral Home, 526 N. Third St., Marquette, MI on Thursday, March 16th from 5 to 7 p.m. and also on Friday, March 17th from 10:30 to 12 Noon at Marquette Hope, (formerly First United Methodist Church), 111 E. Ridge St., Marquette where a memorial service will be held in the church at 12 noon with the Revs. Kristi and Christopher Hintz officiating. Interment will take place at a later date in Ohio. In lieu of flowers memorials are preferred to Marquette Hope, 111 E. Ridge St., Marquette, MI 49855, Room at the Inn, 347 Rock St., Marquette, MI 49855 or the Marquette Choral Society c/o NMU Foundation, 1401 Presque Isle Ave., Marquette, MI 49855. Mary’s obituary can also be viewed at www.canalefuneral.com where relatives and friends may leave a note of remembrance.